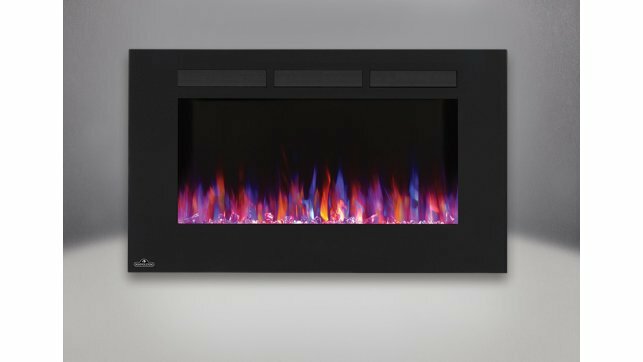 Making a statement with an Allure series fireplace is easy. 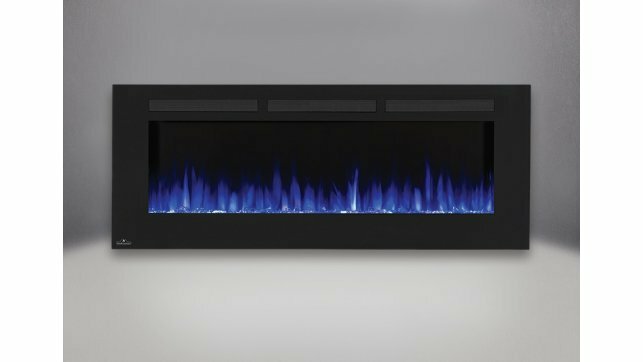 With six sizes to choose from, every Allure electric fireplace sparkles with a crystal ember bed and three colour flame options: orange, blue or multi-colour. 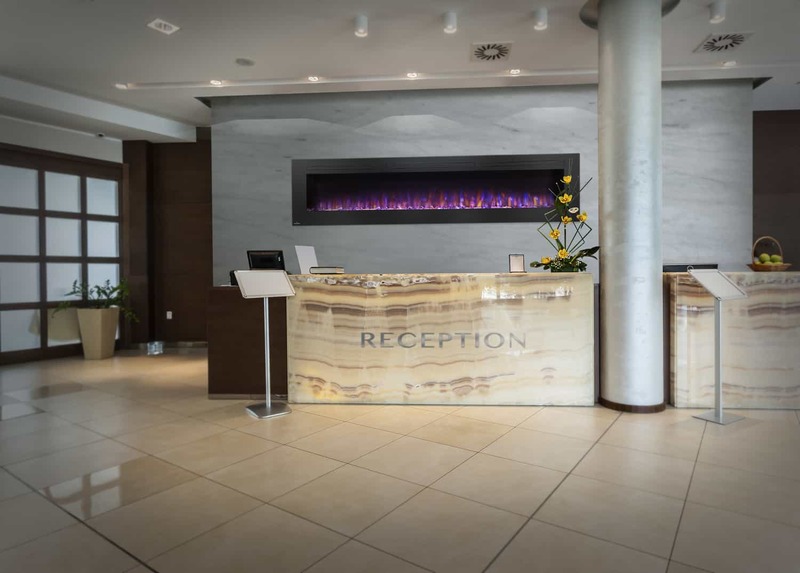 Control the appearance as well as the temperature and blower with the remote control. 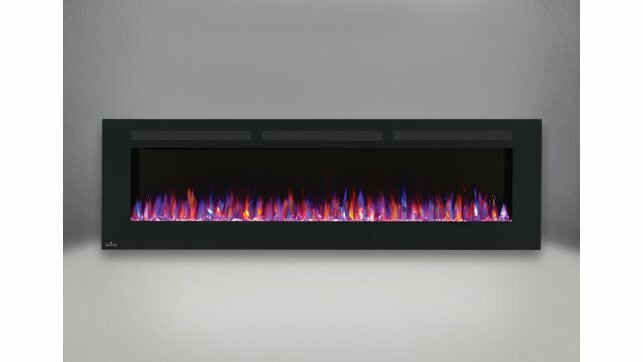 Any Allure series electric fireplace can simply be plugged in and hung on a wall for instant satisfaction. 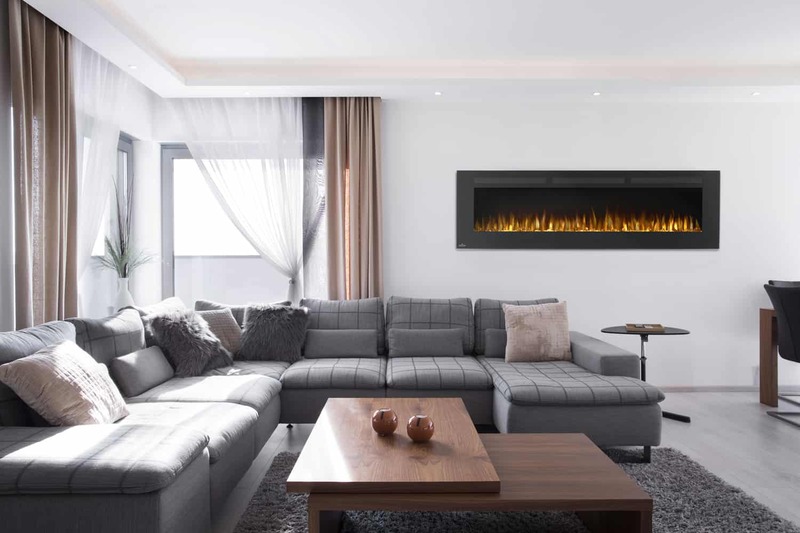 What makes these fireplaces special is the added ability to be fully recessed into the wall, thanks to the placement of front vents. 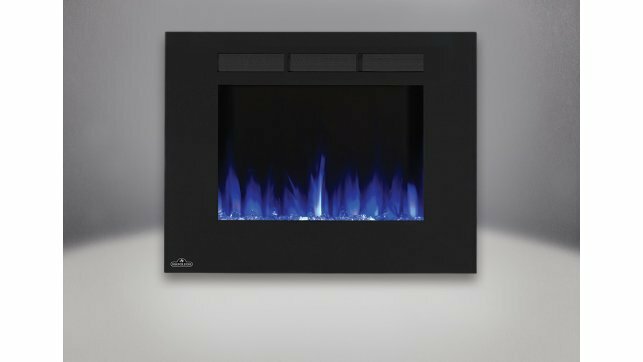 You don't need a specialist or a gas fitter to install a Napoleon Allure series electric fireplace -- just hang it on the wall and plug it in for an instant update to any room. 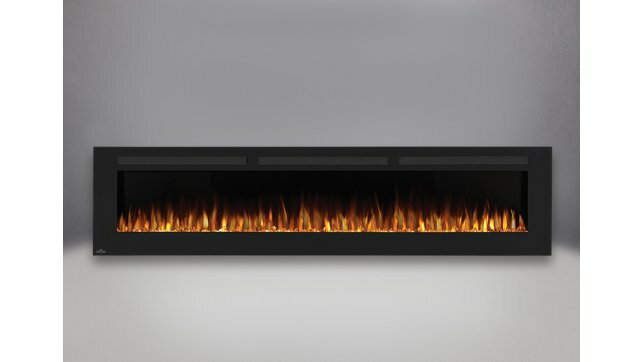 The Napoleon Allure series electric fireplace puts out an incredible 5,000 BTU's and will heat a space up to 400 sq. ft. 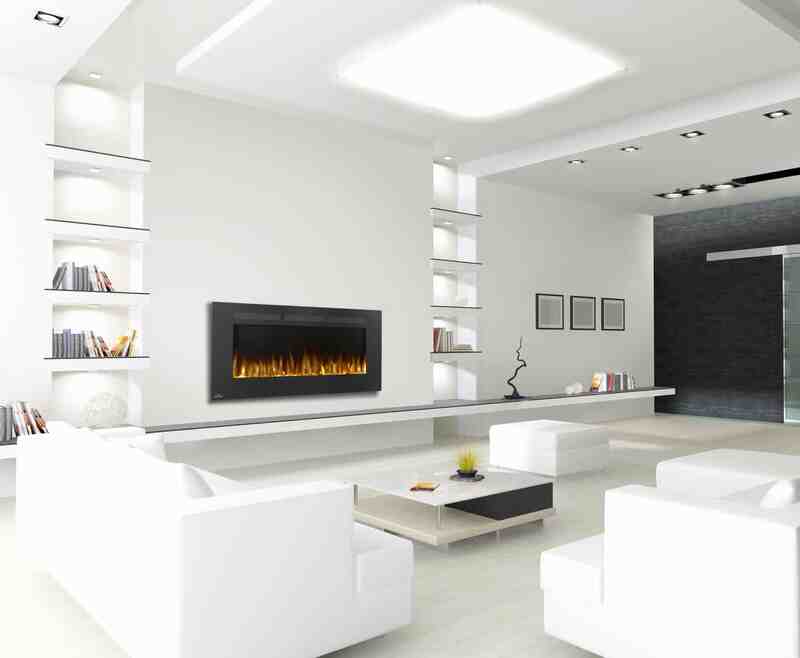 The included remote puts control at your fingertips. You're the master of the flame colour -- orange, blue, or both; the flame height; and the temperature. 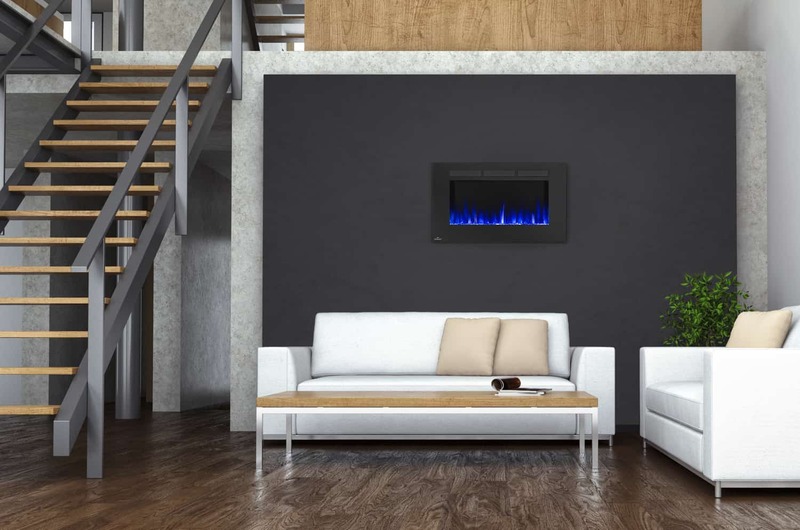 This electric fireplace doesn't invade your space, at only 5" deep. 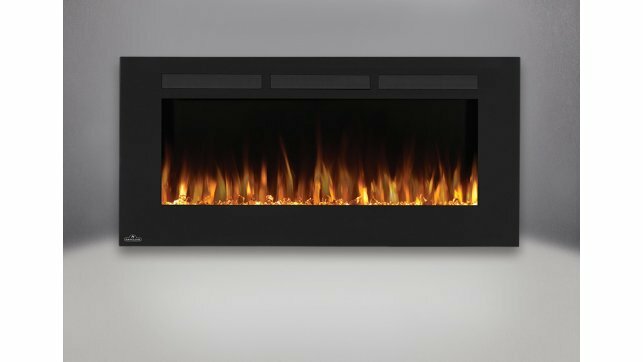 Instead, it adds luxury where traditional fireplaces can't go, and it can even be fully recessed for even more clearance.